On a yearly basis a human produces roughly 500 liters of urine and 50 liters of feces. These two products contain enough nutrients to grow most of the plants that this person needs as food. But instead of utilizing these 550 liters as a resource, we mix it with roughly 15,000 liters of water, and all goes down the drain. Before it reaches the sewage plant, if there is one, this slurry gets mixed with hundreds of pollutants along the way. The conventional sewage plant rarely retains or destroys all bacterial and viral contaminants, it produces a large amount of sludge generally unfit for agriculture, and it causes severe pollution in freshwater and seawater ecosystems. This end-of-pipe solution recycles nothing. It takes valuable resources and transforms them into pollutants. As fertilizer prices rise throughout the world, and as water becomes an increasingly scarce commodity, this unsustainable approach makes no sense. Modern agriculture gets the nitrogen it needs from ammonia-producing plants that utilize fossil fuels such as natural gas, LPG or petroleum naphtha as a source of hydrogen. This energy-intensive process dumps carbon dioxide into the atmosphere, it consumes a finite hydrocarbon resource, and it is not sustainable. Modern agriculture gets the phosphorous it needs from phosphorous-bearing rocks. But these reserves are rapidly dwindling and increasingly contaminated with pollutants such as cadmium. In as little as 25 years apatite reserves may no longer be economically exploitable and massive world-wide starvation is predicted to follow. If we are serious about achieving sustainability in this regard, our first, and perhaps most important duty, lies in not mixing urine with feces. Within the human body these two wastes are produced and stored separately, they are excreted separately, and afterwards they should be contained and processed separately. A double-outlet toilet, one for urine and the other for feces, is all that is needed. The feces receptacle, except for the lid, is exactly the same device used for the mesophilic storage of household biowaste, and if carefully utilized and cleaned out, the one bin could receive all bio-waste from the household, including human feces. Such a toilet is ideal, especially in an rural setting where a toilet in many cases is nothing more than a platform above a catfish pond or a hole in the ground. Quite often people in a rural setting do not even use a toilet of any kind. There are enormous environmental and health problems in Vietnam associated with outdoor urination and defecation. This toilet can be manufactured as a pedestal toilet or a squatting toilet. Since, in the case of a squatting toilet, the feces receptacle has to bear the entire weight of a person, it is best constructed out of brick. The feces storage bin is inhabited by BSF larvae within about 20 days after its construction. BSF larvae eat human feces within an hour or two after it is introduced. This is a powerful factor in eliminating odor. Biochar can also be added to the storage bin from time to time to further eliminate odor. Since biochar captures ammonia in gaseous form, biochar can also be added to the urine receptacle of this toilet. There is also the concept of a biochar urinal, a concept that will be explained more fully in the conclusion. Urine could be collected from urine-diverting toilets, diluted and directly applied to certain crops as a source of NPK. Simple soil insertion techniques prevent the volatilization of ammonia. Urine, or a mixture of biochar and urine, can be used as an important source of nitrogen in thermophilic composting operations. However, if the transport of urine is not feasible, there is another approach, and it allows for the complete processing of urine on site. This approach involves a tiny aquatic plant that is one of the fastest growing plants on earth. As it floats on the surface of the water, it extracts NPK and other nutrients from water through all surfaces of its leaf. Given sufficient sunlight, it can reduce quantities of NPK in water down to almost undetectable levels. This amazing plant, found throughout the world, is called duckweed. 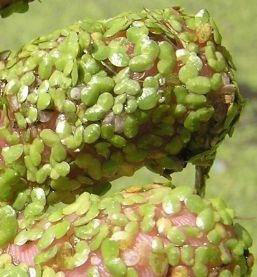 Under optimal conditions, certain duckweed can double in mass within a period of only 16 hours. Its protein content is one of the highest in the plant kingdom (sometimes as high as 45%). It is also rich in beta carotene, xanthophylls, as well as vitamins A and B. It contains very little fiber and indigestible matter. 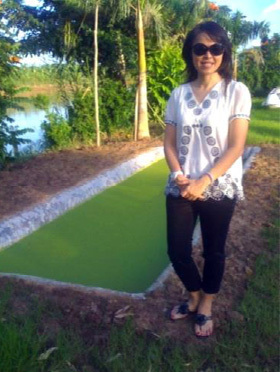 In this approach, urine would be flushed from the urine-diverting toilet into a small duckweed pond located near the toilet. Since duckweed covers the entire surface of the pond, very little ammonia would volatilize and give rise to unpleasant smells. The duckweed harvested each day makes a wonderful feed for chickens, pigs, fish and, of course, ducks. Duckweed can be dried, ensiled, blanched or fed fresh. The logic of the sustainable processing of human waste has certain parallels with the logic of the sustainable processing of residential bio-waste. Both demand separation at source. Both employ mesophilic bins, BSF and red worms. Both refuse to define themselves as independent large-scale waste disposal activities, and both are intimately connected to the sustainable production of food, feed and fertilizer. Human waste, like pig waste, is far too nutrient-rich for the production of fuel by means of methanogens. We talk a lot about sustainability, but we will never achieve true sustainability until we learn to give back to nature in a closed loop everything that she needs to sustain us. Giving back to nature all of the nutrients within our own waste is perhaps our first and most important duty as citizens of planet Earth. I’m working on rather a project in Spain, its a Canal network heavily silted up and we suspect a high level of Human Waste. We would like to ask for any viable options to recycle the waste as it cannot be discharged at Sea. We could like to use Human Waste to genrate electricity and fertilizers. Please provide with more information. Great article! As someone who is a huge fan of sustainability and not yet a doer of it, I am glad to find a practical approach to handling waste so that when I begin my sustainable journey I will know what direction I want to take this. Very interesting article, well done! Great article there.i’m a Kenyan & interested in starting such project in a developing country like Kenya.would you please send me details of equipments i’ll need and an approximate cost of importing them. Is there a system I could make at home ????? Problem with method duck weed also takes up chemicals in the urine and also drugs. Example birth control pills that have shown to affect fish, birds and animals by producing infertile males and no producing females. I live in the rural area situated in Witbank Mpumalanga in South Africa we are using pit toilets and they get full and we dont have a solution and this is a healtyh hazard I”m looking for the recycling companies that will be willing to buy human waste and also i need advises on how to extract it in the pit and transport it to the recycling companies in that way we will be helping the community of of morethan 2000 people at a same time creating employment opportuinties for the same community. It was a very interesting and a article with a very practical approach to what mother nature accepts the cycle of recycling. In fact we have to learn a lot from mother nature , if we do not follow the ways nature works, then I do not think we can achieve any sucess to sustainable ways of living. We need to change our mind sets and the way we do things and have been doing things in the past. There is an urgent need to redesin the WC we use so that the waste products get seperated at source ans thereby saving millions of gallons of water at source. Lets work together by sharing ideas to make this planet a better place to live and dwell! Its nice information. I am interested in the production of organic fertilizer made from human waste. Please provide information related to that. Thank you. 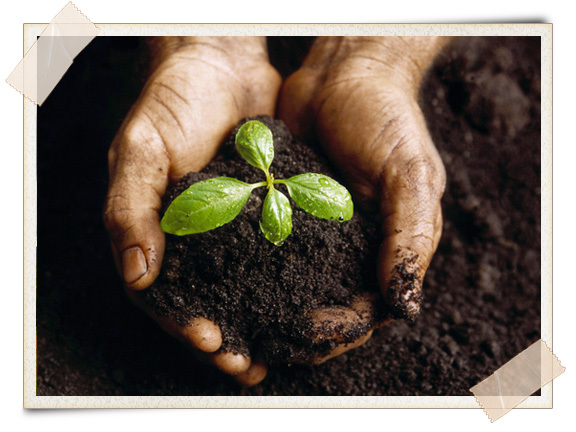 In today’s fast paced world and limited time and space, who has the time and land to produce compost and manure! i am student of Environmental engineering.I have taken this article as a reference for my term paper work. Hope we could work together for further work in future. I am from Nepal and still there is not much development in utilization of the wastes. hope we will together work for sustainability globally. I am very interesting with this article. This article give me more information. Friend, can you tell me the equipment or methods (safety for human being & environment) more specific to change our waste (feces and urine) to fertilizer and animal food? Or maybe the website, which i can get the info. It’s very useful for all of Us & Our planet. CAN YOU GIVE DIRECTIONS TO RECYCLE THE HUMAN WAST IN A COLONY LIFE WHERE APPROX 1000 PEOPLE ARE LIVING IN MULTISTORY BUILDINGS AS THERE IS ONLY SEPTIC TANK FACILITY IS AVAILABLE ? NO MEANS TO RECYCLE THE HUGE WAST IN THIS COLONY. What are techinic being used for recycling the human wastes such as feces and urine???? May I express a concern: if we fees human feces to black fly larve, then feed the larve to the chickens, then feed the eggs and the chickens to people, are setting up a vectoring cycle that may cause infection and disease among humans? Are we really sure that disease germs cannot survive the cycle we have set up? Also, do the ‘BSF larvae’ destroy the pathogens in the solid waste to the point where plants grown in the resulting compost are safe for human consumption ? i am an ardent fan of recycling matter,i would like to venture into such project in my country,Zimbabwe.can you furnish me with all the materials needed so that i can kick start the project.